It’s true! Recent medical studies have shown hearing loss to be a leading cause of dementia. By restoring your hearing, however, you can actually improve your cognitive ability, slowing or even preventing the development of dementia. When you work with our experienced team, we do far more than provide you with a hearing aid. Our hearing aid specialists team up with you through a comprehensive hearing rehabilitation program that includes activities to improve your cognitive function. Don’t leave yourself unnecessarily at risk for dementia. 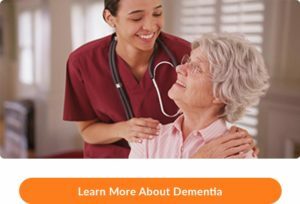 Schedule a free real-world hearing consultation with our experienced and knowledgeable specialists for dementia treatment in Hawaii and let us show you more about the incredible link between your hearing ability and your mental acuity. Click here to request an appointment today. We look forward to meeting you!